Principal Cast : Jean Arthur, James Stewart, Lionel Barrymore, Edward Arnold, Mischa Auer, Ann Miller, Spring Byington, Samuel S Hinds, Donald Meek, Mary Forbes, HB Warner, Halliwell Hobbes, Dub Taylor, Lillian Yarbo, Eddie Anderson, Clarence Wilson, Charles Lane, Ann Doran, Harry Davenport. Synopsis: A man from a family of rich snobs becomes engaged to a woman from a good-natured but decidedly eccentric family. 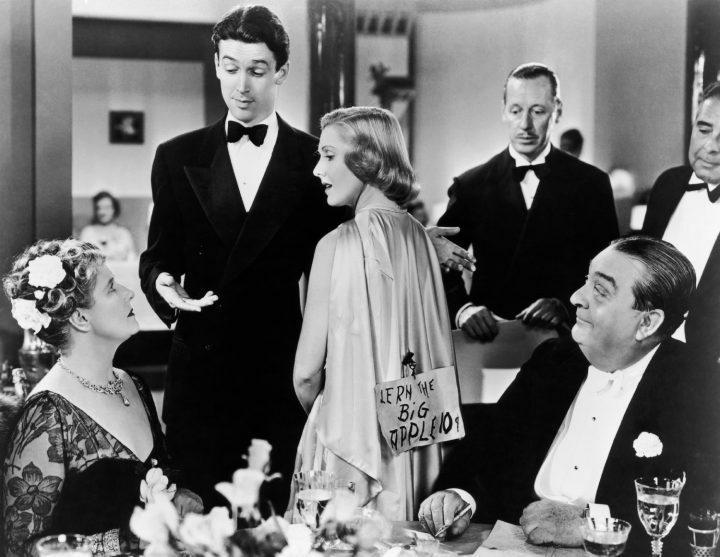 Class snobbery is the order of the day in Frank Capra’s 1938 Oscar-winning film You Can’t Take It With You, a terrific ensemble film based on the 1936 stage play by George Kaufman and Moss Hart; led by Jimmy Stewart and Jean Arthur as idyllic lovebirds from opposite ends of the social spectrum, and accompanied by a superb Lionel Barrymore and even better Edward Arnold, the film’s simplistic virtuous narrative and charming sensibility of family-over-fortune might seem a touch trite today, but remain indelibly American in its timbre. 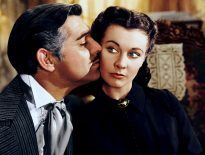 Coming off his record-setting Oscar glory of It Happened One Night, Capra weaves a petite tale of the little guy, the average Joe, coming up against the Big End Of Town, something both he and Hollywood generally continued to riff on during the formative years of 20th Century America. Shades of corporatism and wealth driving all ends, the film’s charming ode to simpler feelings and familial company are entertaining and fun, thanks largely to Robert Riskin’s Academy Award-nominated screenplay, and a smattering of cameo performances by seasoned screen veterans. 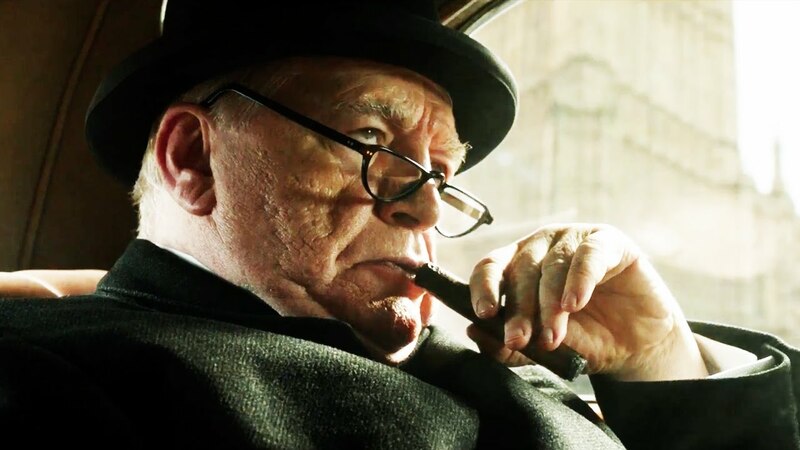 Stewart plays Tony Kirby, the son of wealthy New York Wall Street businessman Anthony P Kirby (Edward Arnold), who is setting up a major munitions monopoly which will make him and his family incredibly wealthy. Tony, meanwhile, has fallen in love with his office stenographer, Alice Sycamore (Jean Arthur), although she’s nervous about he and his family meeting hers due to their varied eccentricities. Alice’s grandfather, Martin Vanderhof (Lionel Barrymore) is a cagey old goat who gave up a similar life to Kirby’s many years back and now spends his time in retirement, attending to the whims of life and his extended family. 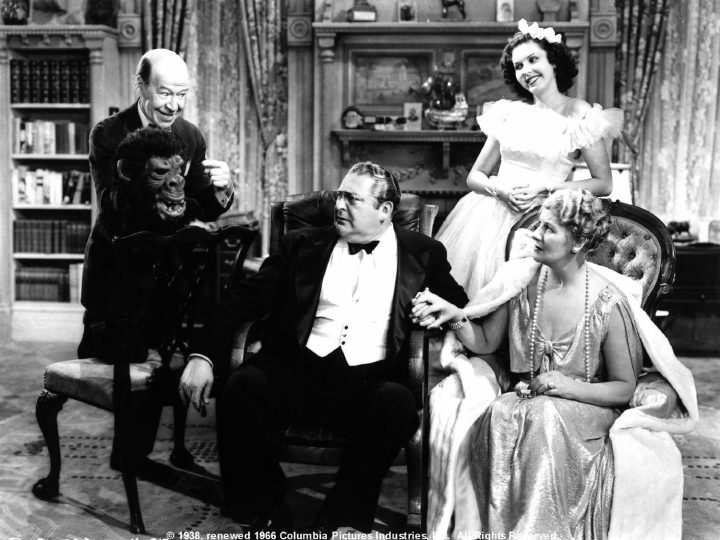 Among the members, his daughter Penny (Spring Byington), his other granddaughter Essie (Ann Miller) and Essie’s husband Ed (Dub Taylor), and Penny’s husband Paul (Samuel S hinds), all live in Martin’s family home in a soon-to-be-a-weapons-factory burough in New York, blissfully unaware of the Kirby’s corporation’s intentions. When Tony brings his parents (including sanctimonious mother Mariam, played by a terrific Mary Forbes) to tea a night early, the clash of culture and class soon engulfs both parties when they are arrested for disturbing the peace. As you’re watching You Can’t Take It With You, a film name-checked midway through by the patriarchal Barrymore himself, you can’t help but get that feeling of “awww shucks” about every five minutes or so. 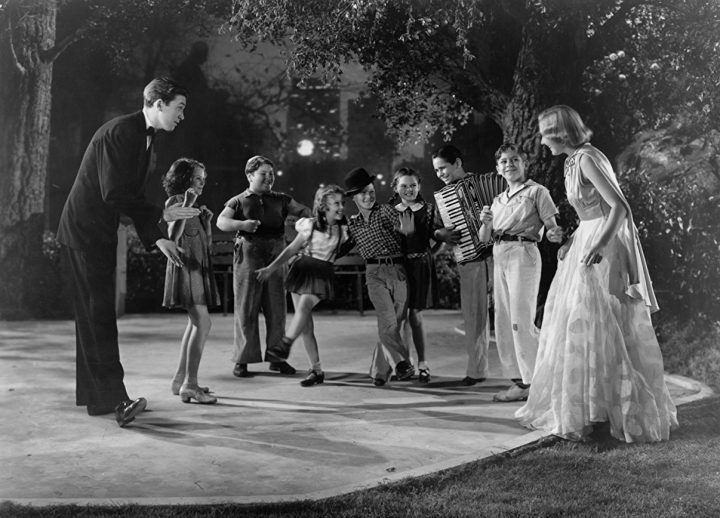 The characters are so beguiling and cheesy in their innocence, so enraptured with the fairness of living in the greatest country on Earth, so eager to simply be around each other, there’s a risk the film runs of being something of a parody of itself, with its rich Capra-esque sentimentalism rooted deeply within the family framework. The fact it doesn’t become that treacly twee ode to the good old days comes from the performances of the cast, particularly Barrymore and Arnold as the two father figures in this film, all of whom are farcically madhouse yet strangely enticing. The Sycamore/Vanderhof family is eccentric, sure, and several of their hangers-on feel like rejects from Everybody Loves Raymond or something, but they are representative of Every Family, the unique us who never have the picture-perfect white picket fence life and who have black sheep among our number, but who love each other despite – or for – our flaws. The Kirby family of course represents upper class snobbery, particularly Mariam Kirby, power-hungry and devoid of soul until a lengthy evening in jail loosens up a few people’s home truths. I really had a great time with this film, it’s such a blessing things like this exist at all. 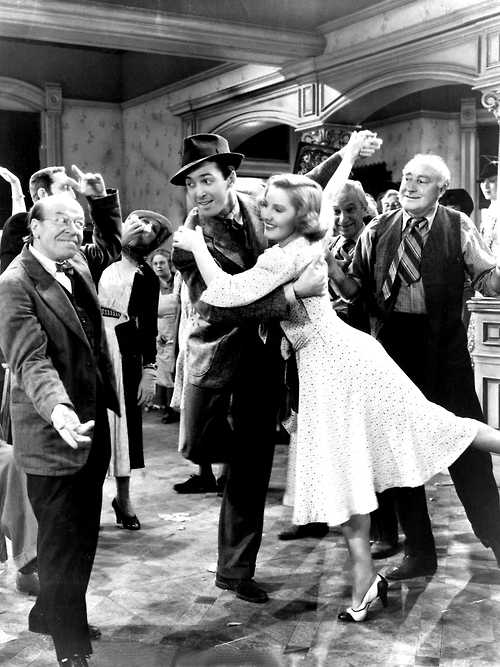 Capra’s ability to charm, to interweave his love of an idealised America – from dysfunctional families right down to the struggles of classism and inner-city redevelopment being portrayed as negative elements of societal destruction – with a sparkling script and a sense of hopefulness which has sadly become passe these days, is astounding. The film doesn’t open strongly, I’ll give it that, with a brevity and somewhat confused focus on both the relationship between Tony and Alice, and Tony’s father’s business dealings, starkly at odds with the slapstick farce we have in the Vanderhof home, with its array of characters. It takes a while for the film’s narrative to kick in and gel, but when it does you’re already drawn into the story and bless its little monochromatic socks, You Can’t Take It With You absolutely shines. Stewart is youthfully charming as Tony Kirby, desperate to avoid being stuck in his father’s shadow in a career he doesn’t want, and the glimmer of fun in his eye never wavers, even in the film’s more dramatic moments. It’s easy to see how and why he became the star he did; his performance here is naturalistic and solid work, offering a great screen chemistry with on-screen love interest Jean Arthur. Arthur, for her part, plays the role of Alice with of-the-period flusteredness, a batting of the eyes giving way to the fainting spell-styled churnings of romantic comedy archetypes. She’s good, but the role doesn’t demand much of her, and frankly she’s on screen far less than I expected for the promotion of the film. 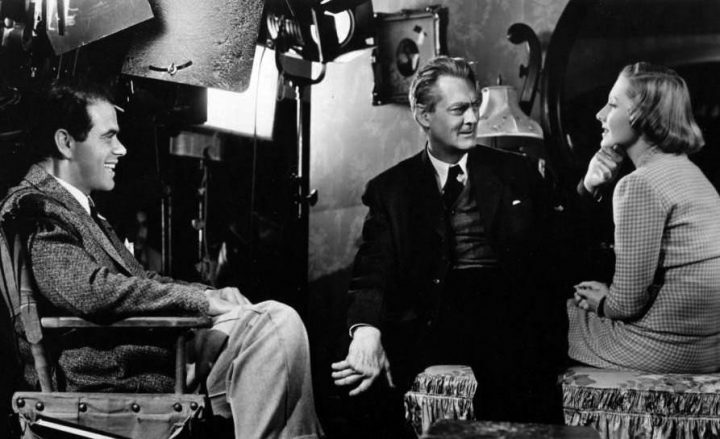 Key to the film’s overarching dramatic impetus are Barrymore and Arnold, and they’re both brilliant. Barrymore, who spends the entire film on crutches thanks to the actor’s real-life arthritis (in the script he was given a “broken leg” due to “sliding down the banister” in a scene we never see), delivers both acerbic digs at social awareness – his “-ism” speech is unparalleled in its rapier wit and sublime delivery – and genuinely moving moments of catharsis, especially when sparring with Arnold’s bullish Kirby Sr. Edward Arnold, meanwhile, blusters and blithers his way through a role that’s acutely aware of his statesmanlike screen persona, his rich baritone and larger frame making an imposing foil for Barrymore’s more insular Martin. The film’s third act, which forces Kirby Sr to contemplate his life choices and the fact he’s really alone with all his cash, is key to the story as an emotional touchstone, and Arnold sells it perfectly. The fact he’s aided by a damn harmonica helps too, I guess. 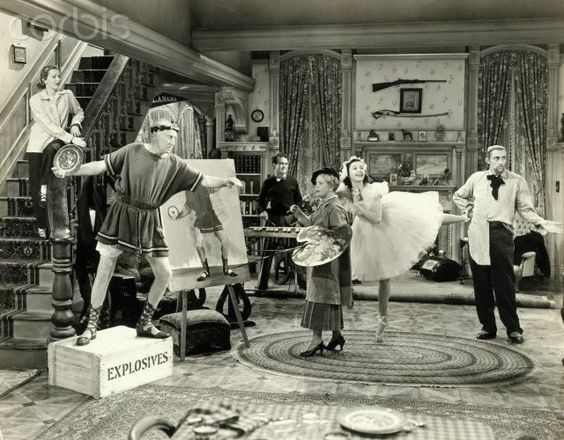 Supporting roles work well too; Ann Miller, who was only 15 when the film was shot, plays a ballet-loving young wife to Dub Taylor’s xylophone tinkling Ed, brings enthusiasm to the film’s slower moments, while Spring Byington’s utterly insane Penny is a laugh riot. Her non-sequiturs and asides, as well as her absolute confusion throughout, are delightful. 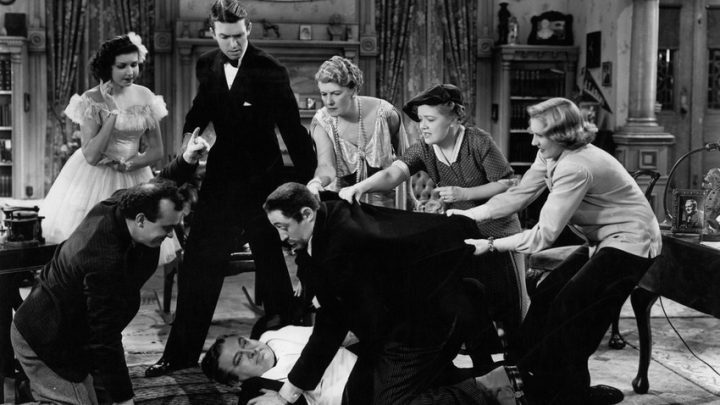 The addition of great characters actors like Donald Meek, as a skittish inventor, Mischa Auer as Penny’s Russian ballet instructor, and the legendary Harry Davenport, as the judge presiding over the Kirby/Vanderhof case, are merely icing on a truly remarkable Golden Age Hollywood cake, and the film’s value with their inclusion is only increased. The script gives each of their characters a chance to shine, and shine they do in the soft-focus frame of Capra’s camerawork. If there’s a continued issue with films derived from stage productions, it’s the fact that you almost can’t escape their overall theatrical rigidity. 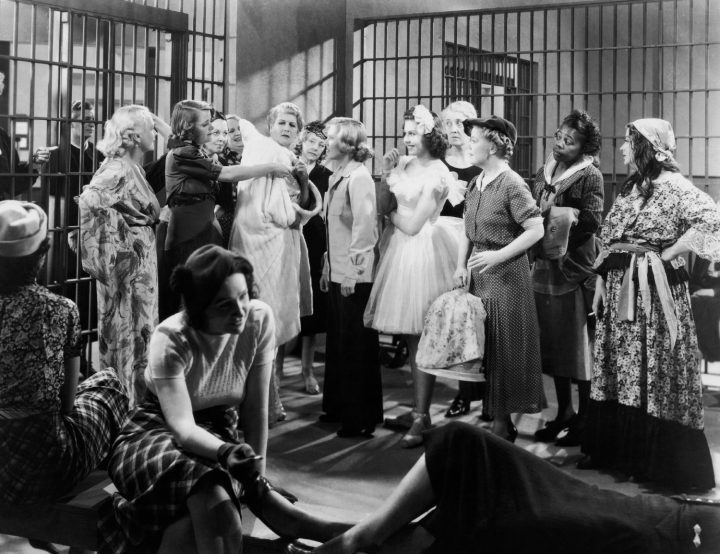 Although the film engages in playful fun, and works well as an ensemble piece, for a film clocking in at two hours and change it can’t help but feel confined by the original story’s settings and requirements. Large portions of the film occur within Kirby’s bank and Vanderhof’s (incredibly voluminous) New York home, so when an “exterior” scene in a park comes along it’s something of a shock – pleasant as that is. If I was brutally honest there’s a part of me who would have liked to see about twenty minutes or so shaved out of this film, not because it doesn’t work so well in and of itself (it really is a fun film to watch) but because at times things feel like they’re stretched out for the sake of itself. Subtle edits to remove a few scenes that bridge key plot moments would have worked wonders, tightened up the running time and kept the pacing up; God, I’m actually critiquing Capra in a negative way, will you forgive me? I may seem like I’m being particularly harsh, and fair enough, because this film won Best Picture and it deserved it with room to spare (among the other films up for Best Picture were The Adventures Of Robin Hood and Pygmalion, the latter remade years later as My Fair Lady), but taking off my nostalgia glasses for a moment I could spot the creaks and groans of a film that doesn’t quite hold up today. Time has aged this one, often for the poorer, although one has to be hard of heart to genuinely dislike any Capra film for any reason. 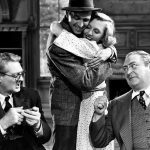 You Can’t Take It With You is nascent Capra sentimentality with class, a rock solid premise and equally captivating direction married up with superb cast performances all around. It’s fun, fuss-free and offers short moral lessons and bludgeoning family sermonising (at times): fans of this age of cinema will have an absolute blast. 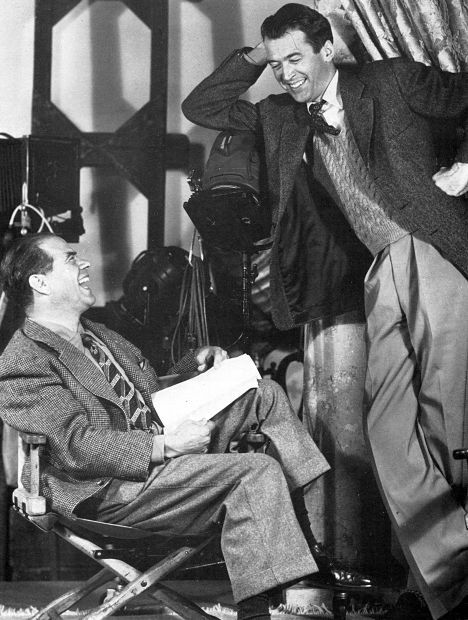 Frank Capra and James Stewart Laughing on set. 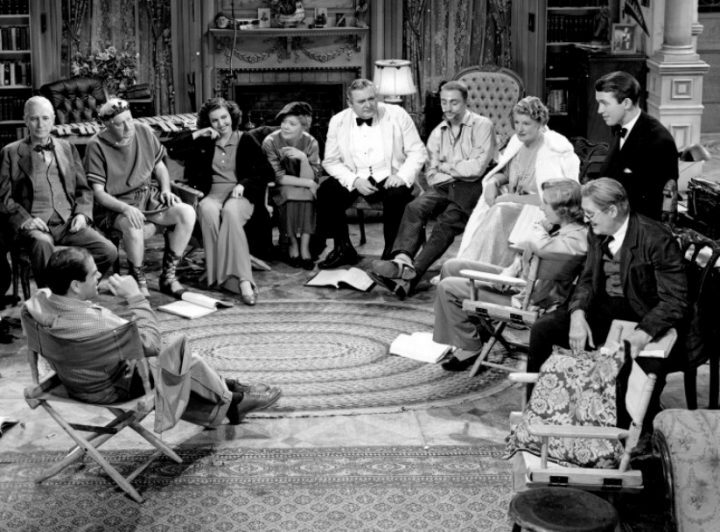 Frank Capra, Lionel Barrymore and Jean Arthur on set in You Can’t Take It With You. 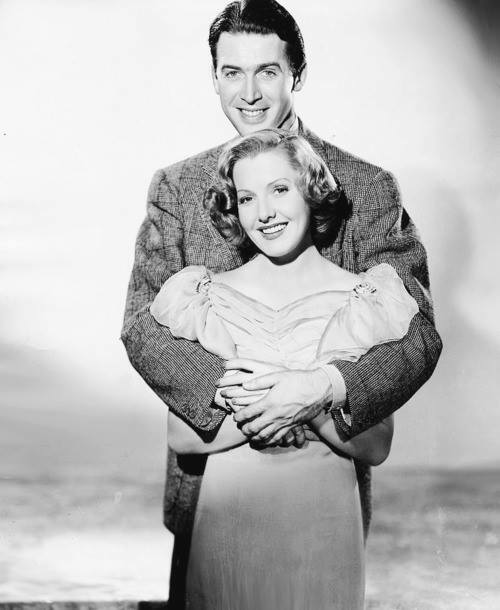 Promotional still with James Stewart and Jean Arthur for You Can’t Take It With You. 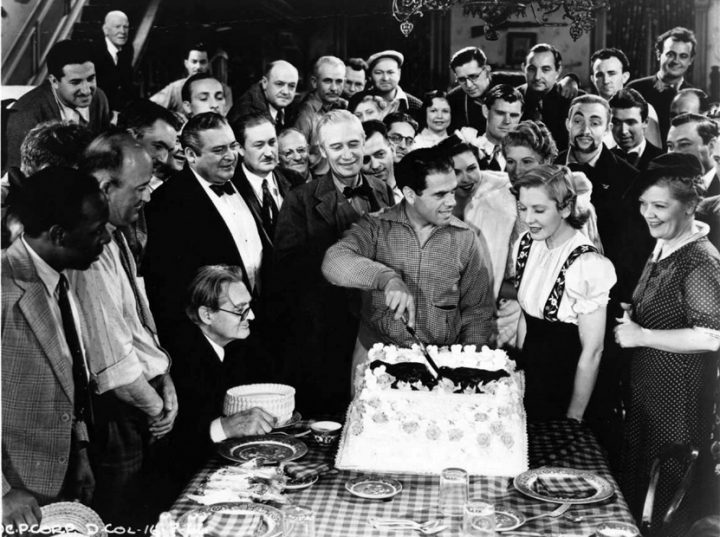 Capra and his cast and crew celebrating! 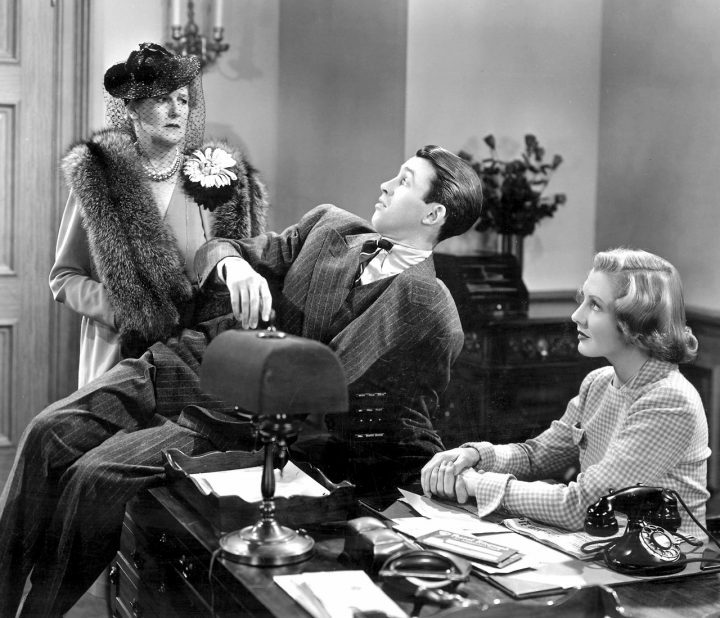 Mary Forbes, James Stewart and Jean Arthur in a promotional still for You Can’t Take It With You.